Today I drank wine – not unusual for me, but there were many things about today that were. Unusual, touching, heartbreaking, inspiring, and unforgettable are all words that come to mind. As I look back through the events of the day, I can feel myself begin to smile. 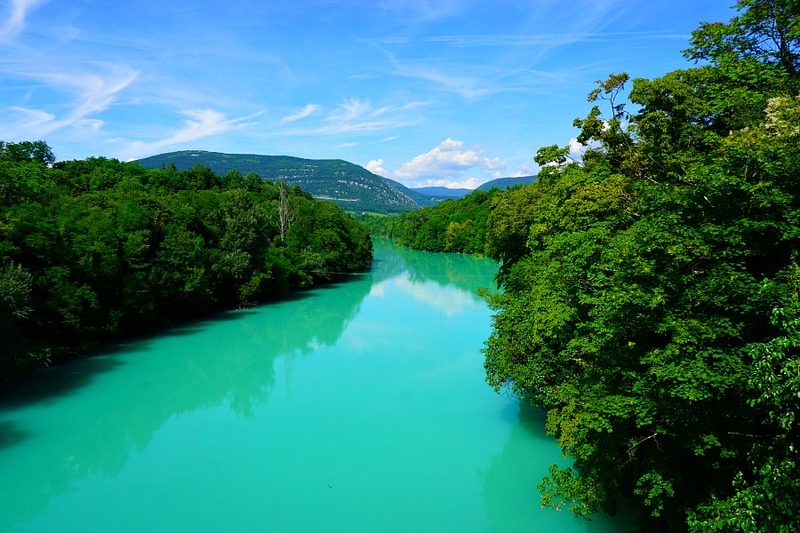 At the start of the day, as it all began to unfold, I entered Slovenia for the first time. 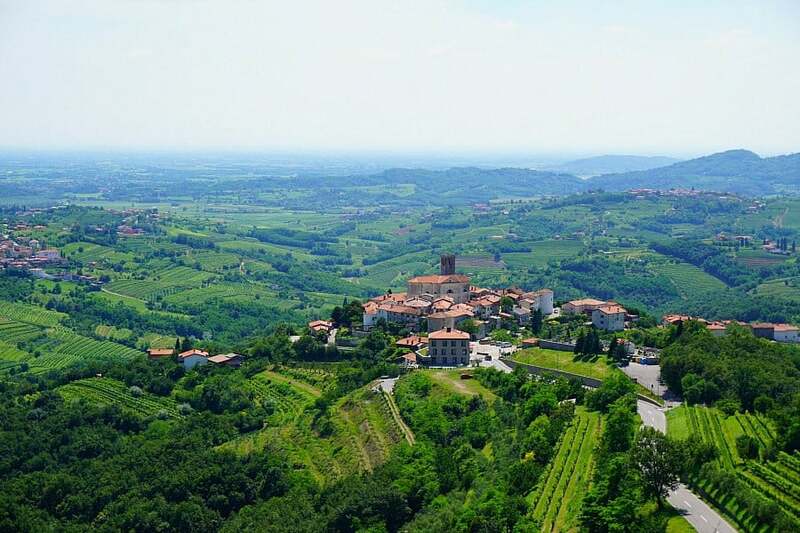 The part of Slovenia that we were visiting shares a border with Italy’s Friuli Venezia Giulia region. And the word “shares” is quite appropriate. We crossed back and forth between the two countries as we drove through the vineyard dotted landscape with barely any indication that anything had changed. The stories of this beautiful place, with waters a color of blue that I had never before experienced, were similarly as startling. This was a front line battle ground in both WWI and WWII. Here lines were drawn and battles fought for religious freedom, political power and independence. There were stories told that I quickly wanted to forget as soon as I heard them. Here children were kidnapped centuries ago from their homes by Turkish armies and later sent back as adults to unknowingly battle against their birth families. Or mass genocide and ethnic cleansing.There are many monuments marking these occasions which is a stark contrast to the serene and mystically beautiful surroundings. It was a lot to take in, but also important in understanding the wine we were about to taste and the philosophy behind it. 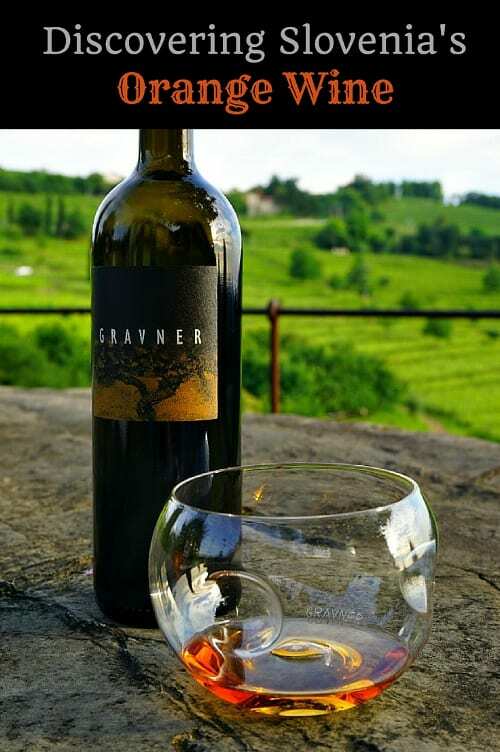 This was the backdrop from which we entered the Gravner Winery. We were about to taste a wine that defies comparison to any other wine in both taste and color. 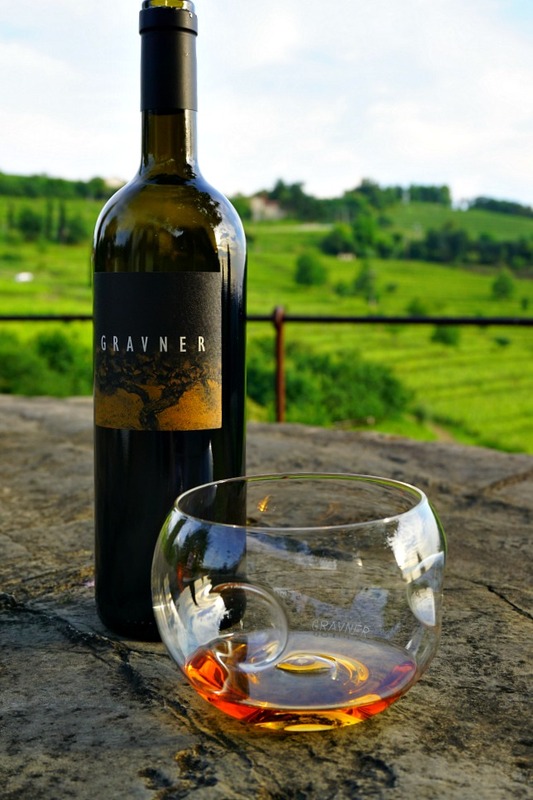 And the reason lay snugly within the mind and heart of the winemaker, Josko Gravner. One example of this philosophy is visible in their efforts to make the vineyard a hospitable environment to other indigenous fruit trees and to create a place where birds and small mammals will thrive. Encouraging birds into a farm where you hope to harvest your fruit doesn’t sound like a great idea on the surface. But the Gravners have found that the birds only eat the grapes, with their tough skins, because they are thirsty. 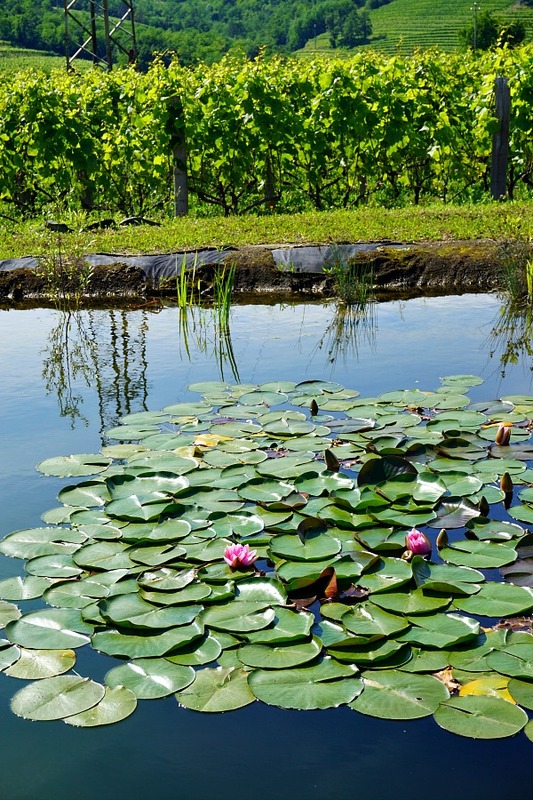 With the addition of ponds, the birds are happy and the grapes are left to develop on the vine. As you can also imagine the vineyard uses no pesticides and very little sulfur (a traditional pesticide). The grapes are picked and pressed by hand, and then aged for a year. Not in a barrel, but in an amphora. 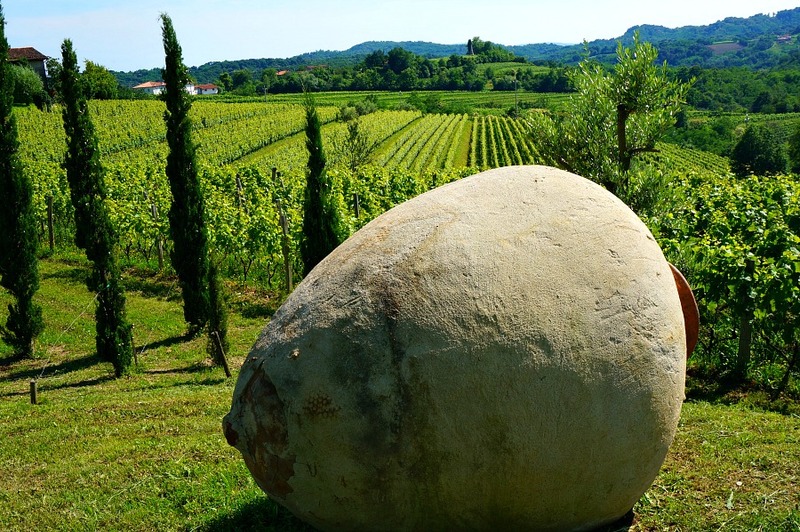 Josko re-discovered the amphorae, huge terra-cotta vessels, which have been used for making wine for over 5,000 years, but have mostly fallen out of favor for more modern methods. He was determined to find a process to make wine that would not require ever-changing techniques and equipment. Instead, he decided to return the wine making process to its past. The amphorae were still being produced in the country of Georgia, where Josko went to find artisans still making the ancient jugs by hand. And then then found a way to have them safely shipped to his facility. 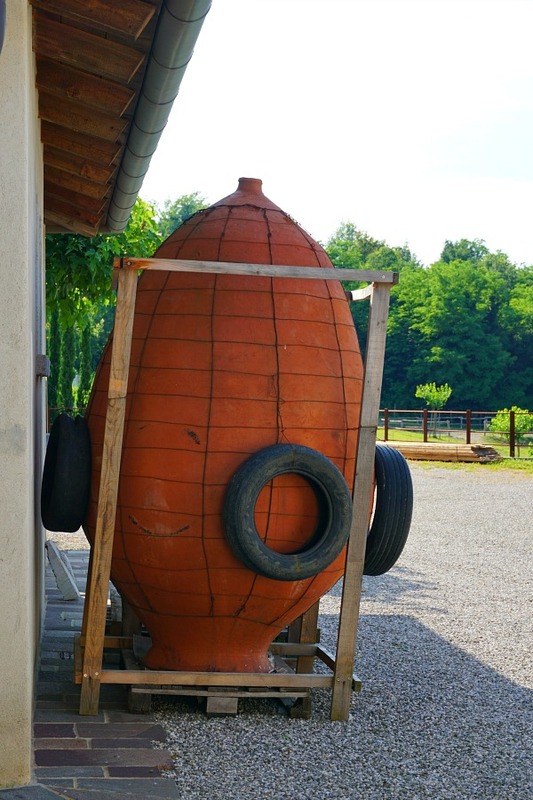 The grapes are planted and harvested by the cycle of the moon, and then hand pressed and stored in the beeswax lined amphorae. 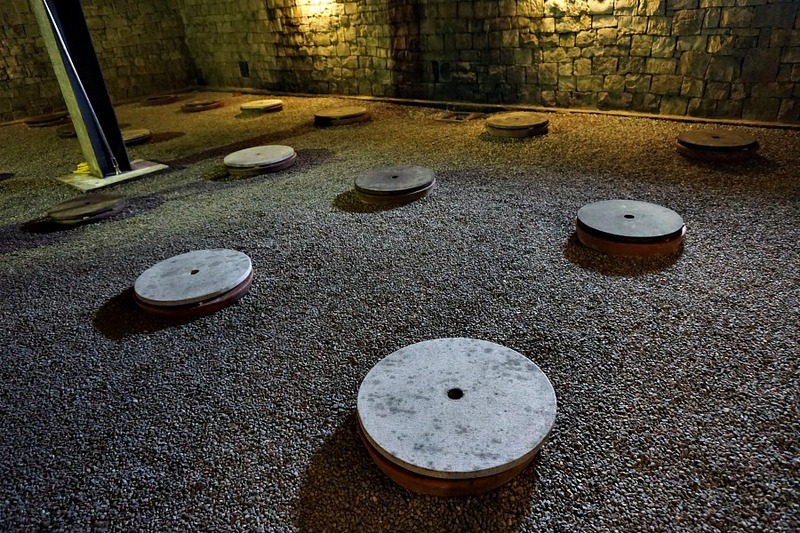 The terra-cotta vessels are buried in the ground where Josko believes the climate is perfect for this phase of fermentation. The wine then remains in the vessel for a full year. Next, the wine is transferred to a wine barrel where is left to express itself for six full years. And this is Josko’s most powerful tool. Not blending, not adding chemicals, just adding time. 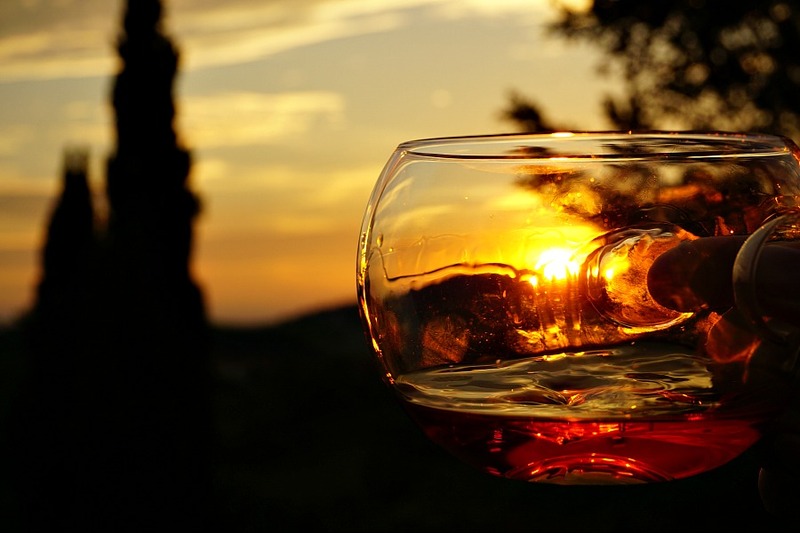 The resulting orange wine is a rich amber color that tastes like no other wine we had ever tried. 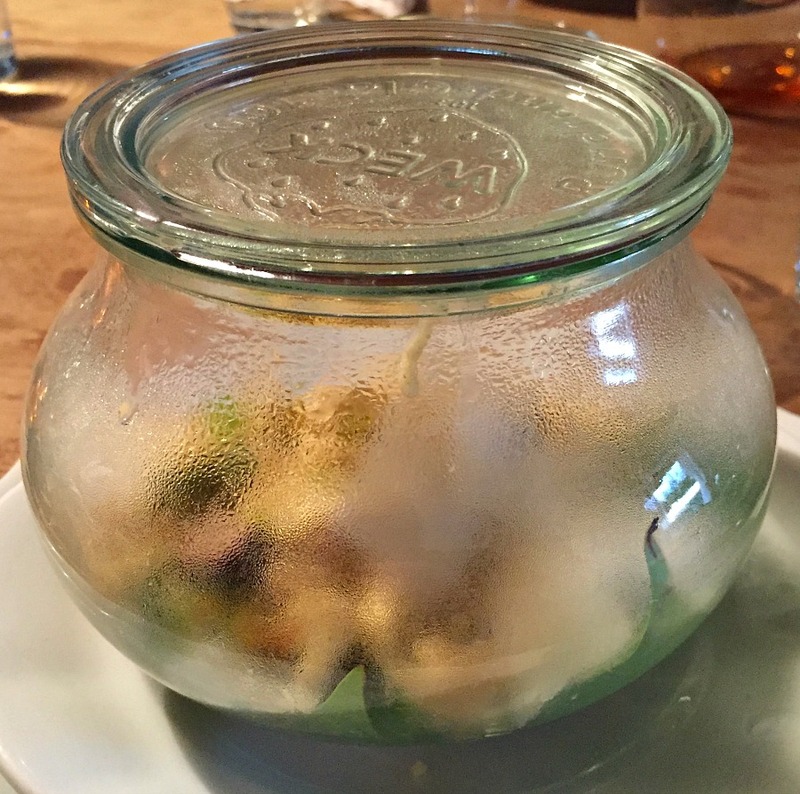 And of course it is served in a glass that is designed specifically for this purpose – and like no other. We had the pleasure of sampling it in a 300 year old home, that the family acquired in 1901 and has survived two world wars and an earthquake. 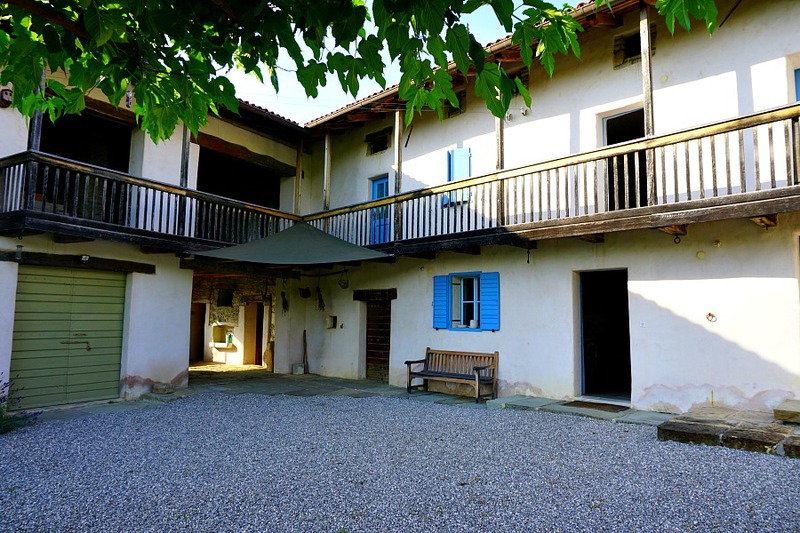 It was actually the only home to remain standing in the village after WWI and was used as place to treat soldiers from the front. The structure is currently being restored and we were lucky to be overnight guests here. The next twist: we were invited to cook dinner here, sipping Gravner wine, along side a Michelin-starred Chef, Alessandro Gavagna. 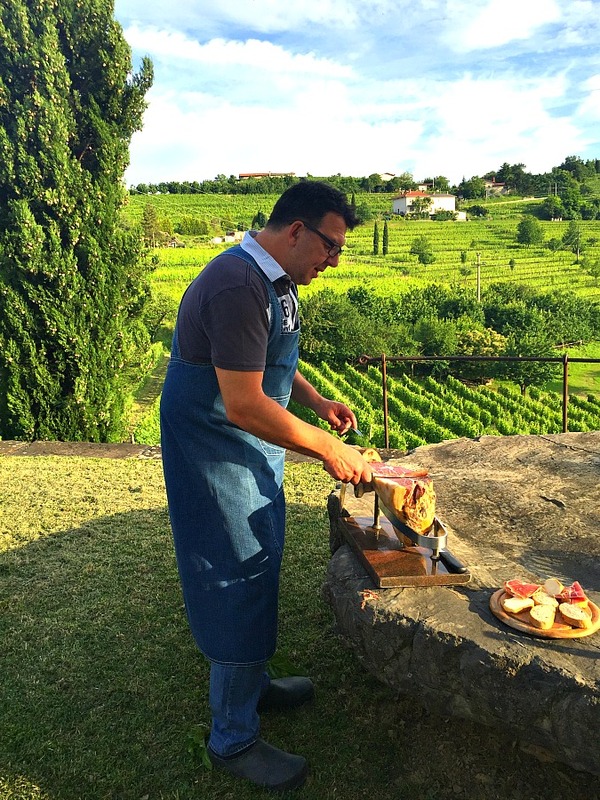 The meal started with a pre-dinner aperitif of prosciutto ham, cheese and fresh bread served on a large flat stone table overlooking the vineyard. In true Italian style, the chef had brought along the entire leg of ham and sliced fresh slices for us. We enjoyed dinner together with Chef, Marianna from Delicanto, along with Mateja Gravner and her daughter. Mateja had actually left the family business years ago, but returned after a tragic death in the family. Despite needing to take a 180 degree turn in her life, Mateja has taken on her new role in the family business with both passion and finesse. Hearing her speak about her country, her family and their wine was a remarkable experience. 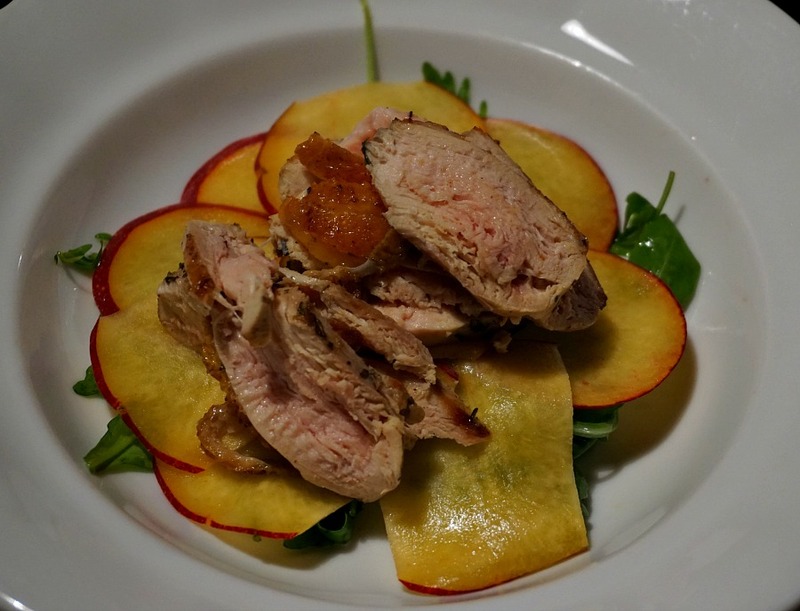 Having the pleasure of doing it in a vineyard along with a meal prepared by Chef Gavagna alongside the famed Gravner orange wine was a great honor. The entire experience left a lasting impression and was really impossible to have done without our guide Marianna, owner of Delicanto Italian Luxury Travel. This day was just one experience of several in our overnight trip through Slovenia and Italy. Marianna has made it her mission to find not only artisan products of her region, but also boutique experiences with a purpose and a story. She crafts each of her personalized itineraries with the interests of her guests mind. Food and wine and culture being ours. 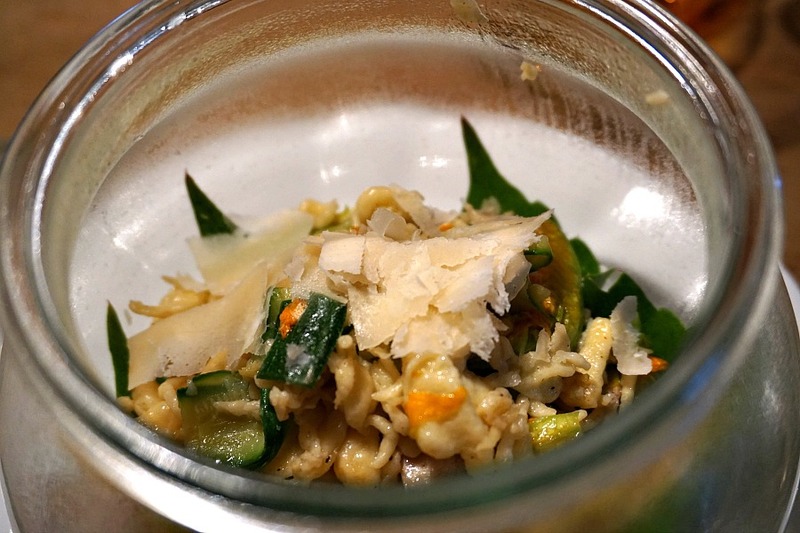 You can read more about the journey she created here: An Insider’s Tour of Italy’s Veneto and Friuli-Venezia Giulia Region. A Special thank you to Delicanto who hosted us on this tour. 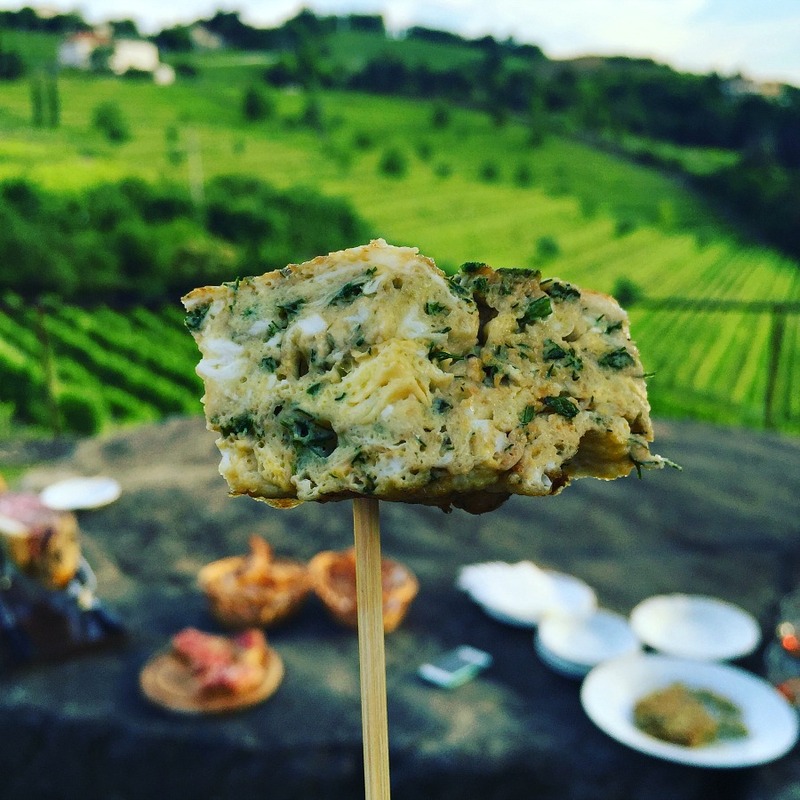 They specialize in luxury tours of Italy and have added this special location to their collection of boutique intimate gourmet and cultural experiences. Our opinion, as always, remains our own. 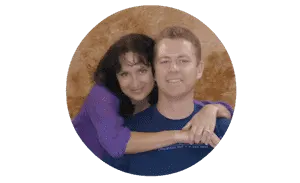 Note: Some of the links on this page are affiliate links, which means that if you click on them or make a purchase, we may receive a small referral fee. So click away! And thanks so much if you do, we sincerely appreciate the support.